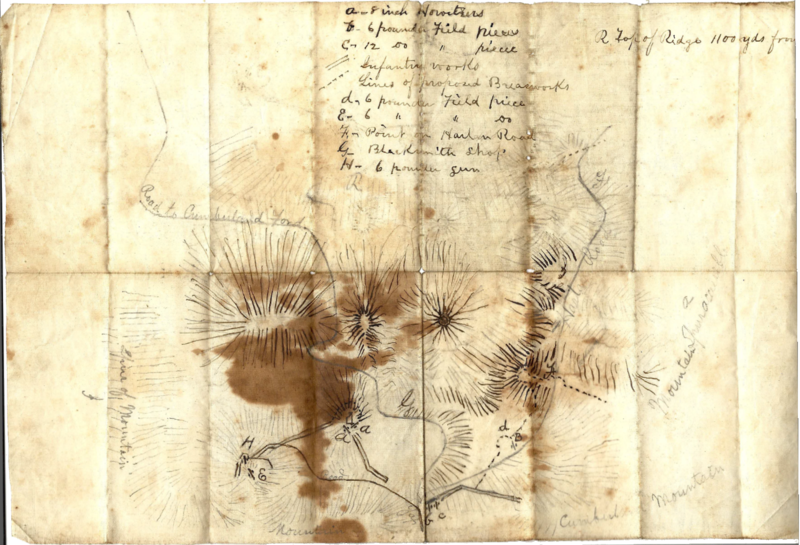 This roughly sketched map is from the papers of then Lt. Cushman Cunningham, Company F. It was graciously provided to this website by Benjamin Byrnes, a United States Park Ranger and historian at Cumberland Gap National Historical Park. The original map is in the possession of the Abraham Lincoln University Library and Museum in Harrogate, Tennessee. The library is in the process of compiling a large collection of Civil War artifacts and images in a digital exhibit available at their website.